Canon has announced the development of a 4K laser working projector to achieve higher brightness and better color reproduction based on “the success of the XEED 4K5020Z projector, introduced last December, and presented at the European Exhibition For integrated systems “. The company said the new 4K LCOS, expected to be launched on March 19, comes as part of its ongoing commitment to support systems integrators with advanced creative devices and is expected to provide improved communication ports. 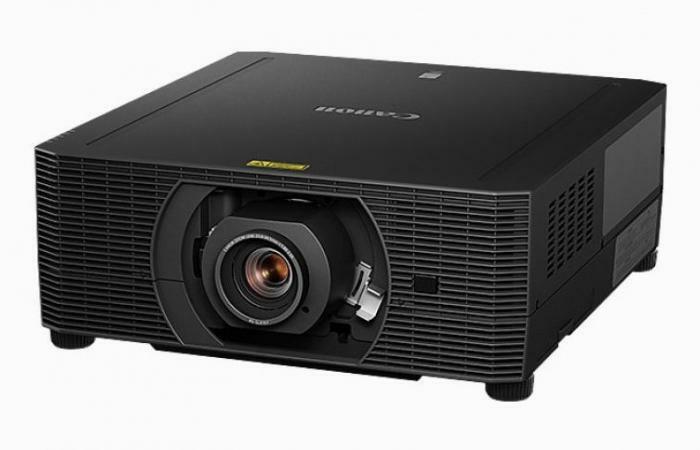 ￼The new 4K LCOS laser projector, which features higher brightness, uses the newly created Canon projector chassis. It is easy to connect and install this device easily in any peripheral location, both horizontal and vertical, because there are no integrative restrictions. The device features an easy-to-use lens adapter compatible with a selection of seven interchangeable Canon lenses, including the new RS-SL07RST 4K with an automatic zoom of 1.76 x and a vertical movement of +/- 73% with minimal glare and curvature. The projected projector offers an accurate view and excellent image reproduction without distortion or deviation.